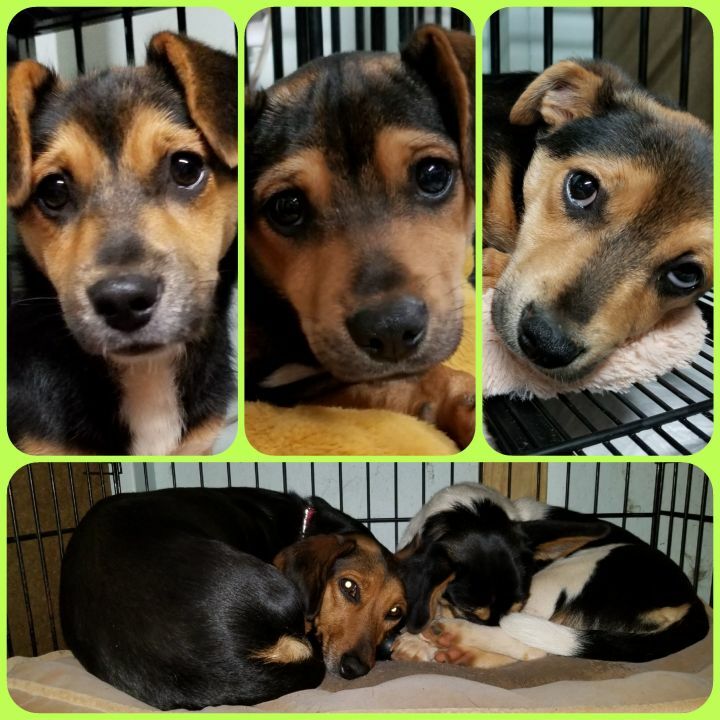 Reilly is a young female Terrier mix puppy who is available for adoption from Paulding County Animal Control in Dallas, GA.
Regina is a 17-pound female Hound mix puppy who is available for adoption from Paulding County Animal Control in Dallas, GA. 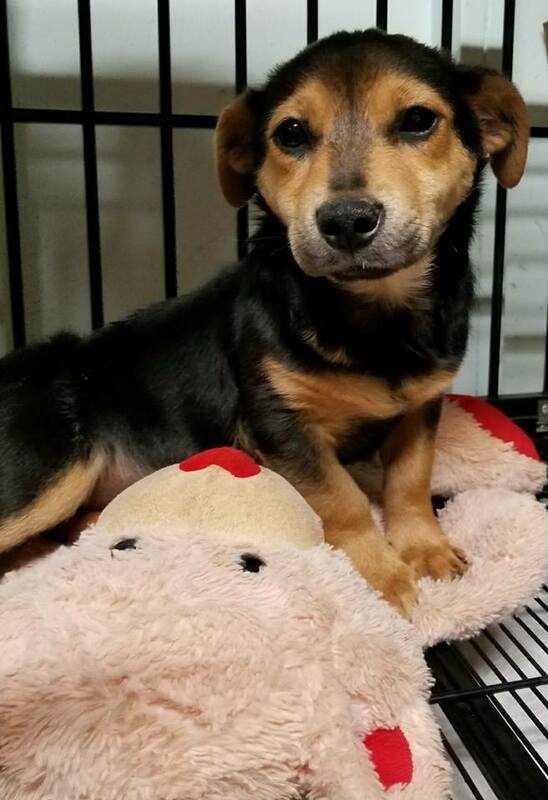 This 5-month old, 14-pound, young female Terrier mix puppy is available for adoption from Jennifers Pet Rescue Inc. in Dallas, GA.
She is great with other dogs, cats and kids of all ages! 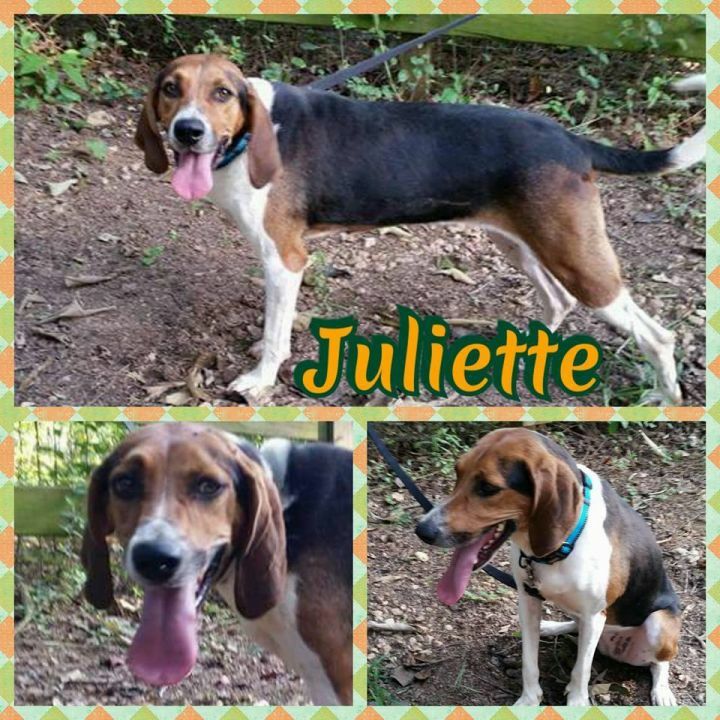 She will be a wonderful addition to any family looking for a spunky playmate! We think she’ll weigh 15-18 lbs. when full grown, as she hasn’t grown much in the 2 months she’s been with the rescue group. Sophia is a young female Labrador Retriever mix who is available for adoption from the Albany Humane Society/Sally Wetherbee Adoption Center in Albany, GA.
Joe is a young male Labrador Retriever mix who is available for adoption from the Albany Humane Society/Sally Wetherbee Adoption Center in Albany, GA.
Chloe is a young female Labrador Retriever mix who is available for adoption from the Albany Humane Society/Sally Wetherbee Adoption Center in Albany, GA.
Miwok is a young female pug mix puppy who is available for adoption from the Dolly Goodpuppy Society Inc in Barnesville, GA.
Each pup in this litter has been honored with a Native American name as unique and beautiful as they are. Miwok means “people”. This pup has been handled daily since birth and is a “people dog”. She has a kind, gentle soul with lots of presonalilty. 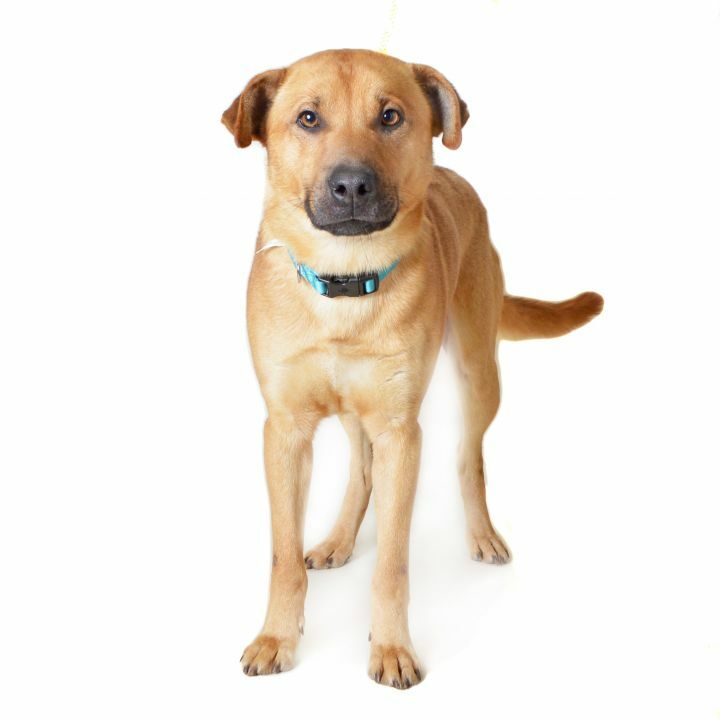 Miwok enjoys meeting new people, playing with other dogs, and working on learning puppy skills. 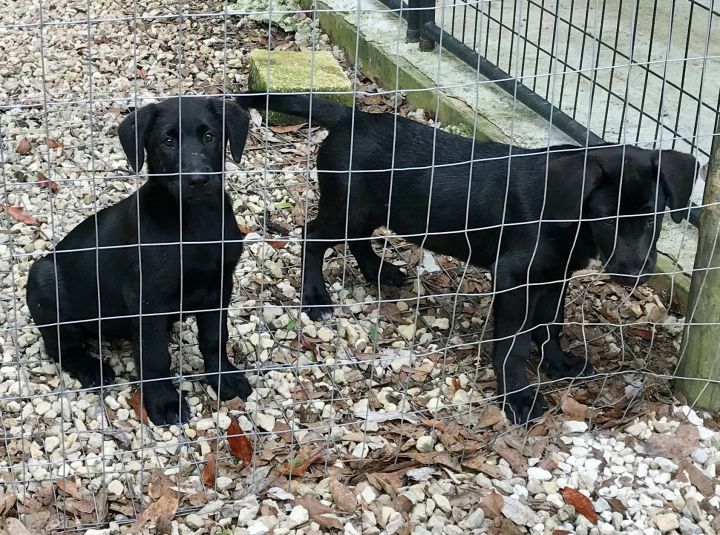 This litter of pups was born at Dolly Goodpuppy on November 30 2018. 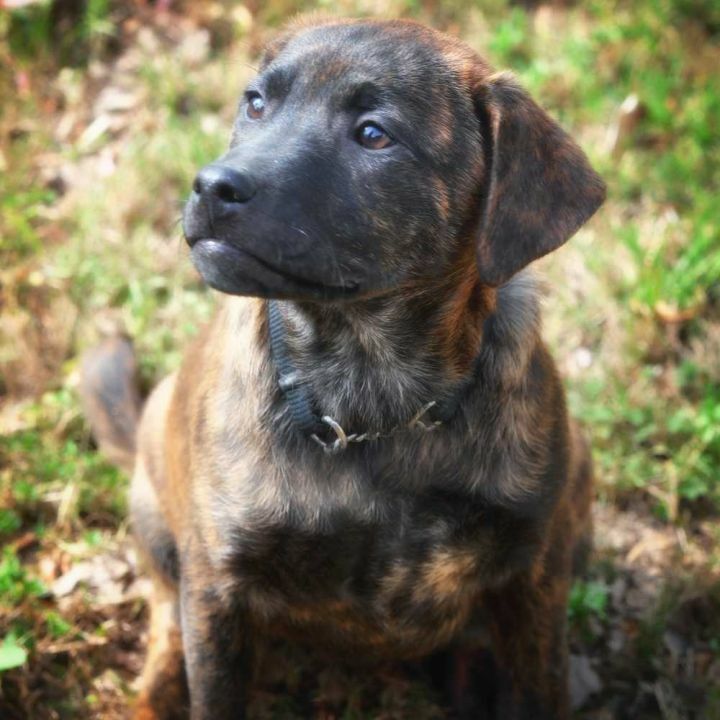 Una is a young female pug mix puppy who is available for adoption from the Dolly Goodpuppy Society Inc in Barnesville, GA.
Una means “remember” – this fuzzy, brindle beauty is simply unforgettable. She has a sweet, silly personality and can even impress you with some of her ninja-style belly crawl type moves. 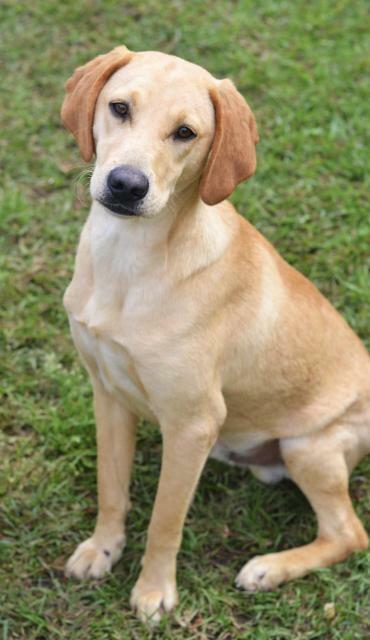 Bradley is a young male Hound mix who is available for adoption from the Dolly Goodpuppy Society Inc in Barnesville, GA.
Bradley is one seriously handsome hound mix. When Bradley came to Dolly Goodpuppy he had an almost embedded collar; someone had used the looped handle of a leash as a collar, put it around his neck, and TIED HIM UP! 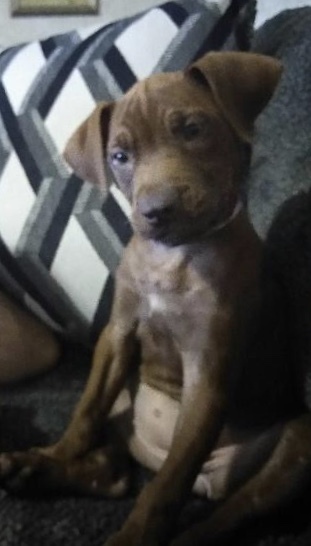 Luckily, he was found in time, brought to Dolly Goodpuppy, and we were able to remove it without surgical intervention or permanent damage to his neck – now we just need to find him the perfect forever home. 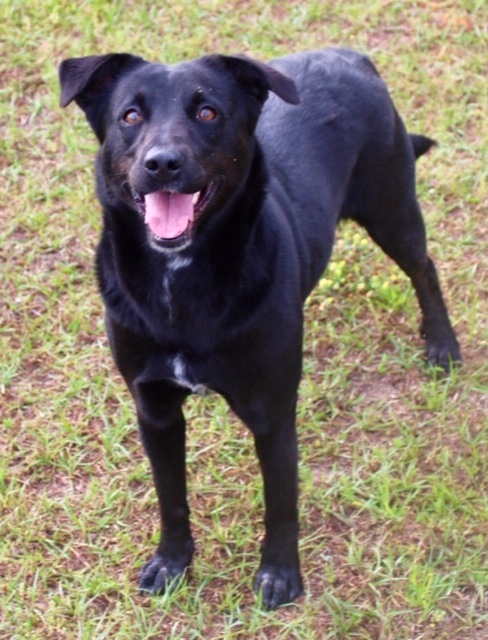 Bradley is friendly and especially loves playtime and running. Chasing his big ball makes Mr. Bradley a very, very happy dog, and expends some of his plentiful energy. 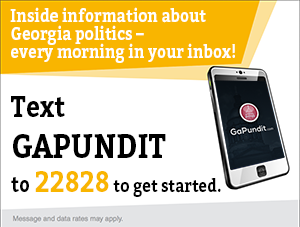 Have some high-energy kids you want to tire? They could be Bradley’s perfect, new best friends. 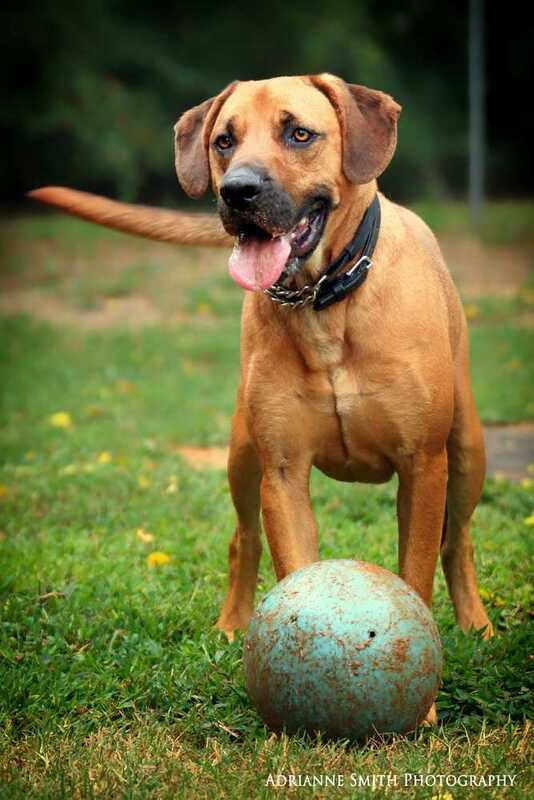 While Bradley enjoys children, due to his large size he is best suited for a family with older children. Bradley has been living in a home, has nice manners and is housebroken but he is best suited for a home where he can be an only pet. 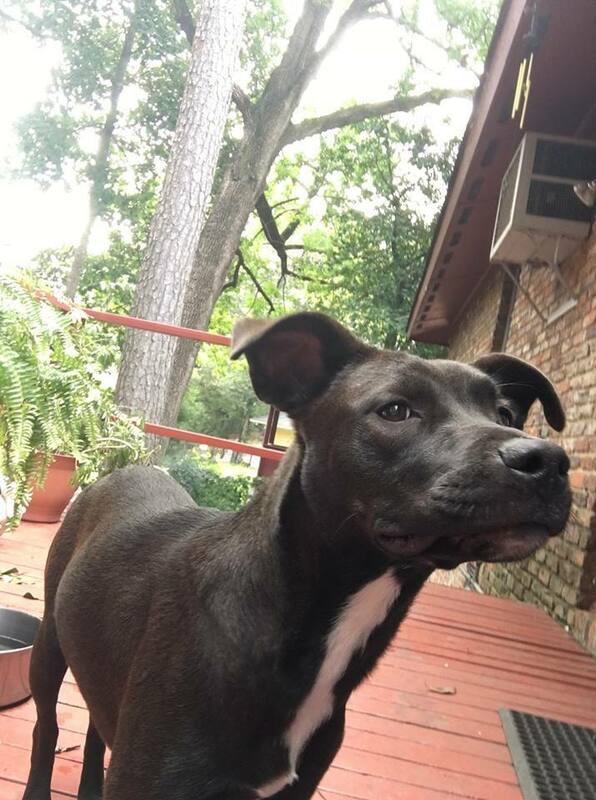 Louise is a young female Black Mouth Cur mix who is available for adoption from the Humane Society of Northeast Georgia in Gainesville, GA. Pistol is a young male Mountain Cur and Retriever mix who is available for adoption from the Humane Society of Northeast Georgia in Gainesville, GA.
John Smith is a young male Terrier mix puppy who is available for adoption from the Humane Society of Northeast Georgia in Gainesville, GA.
Duchess is a female Labrador Retriever mix who is available for adoption from Warner Robins Animal Control in Warner Robins, GA.
Duchess is a very smart girl. She is sweet and well mannered. She will sit and shake on command and she loves to play fetch. 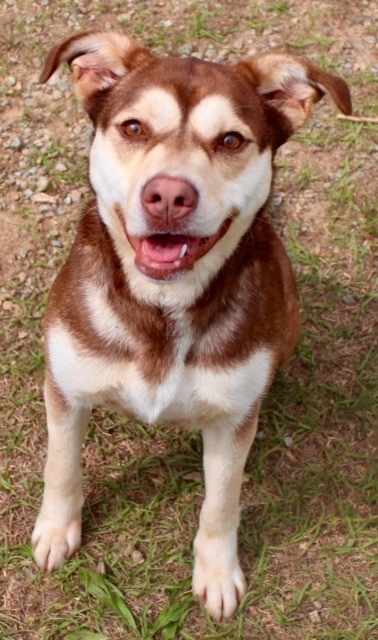 Cinnamon is a female Husky who is available for adoption from Warner Robins Animal Control in Warner Robins, GA.
Cinnamon is a very happy girl. 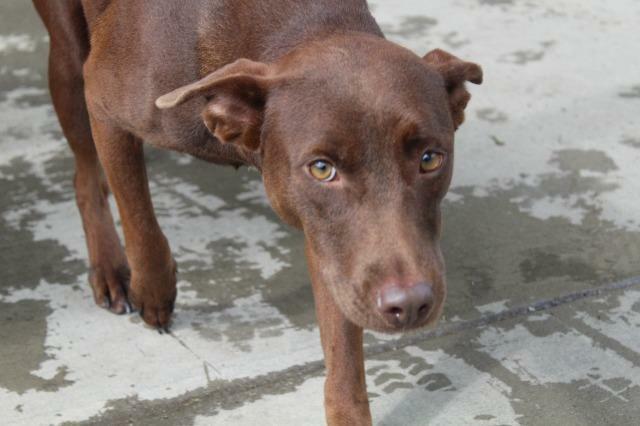 She loves to play and she is looking for the perfect family. 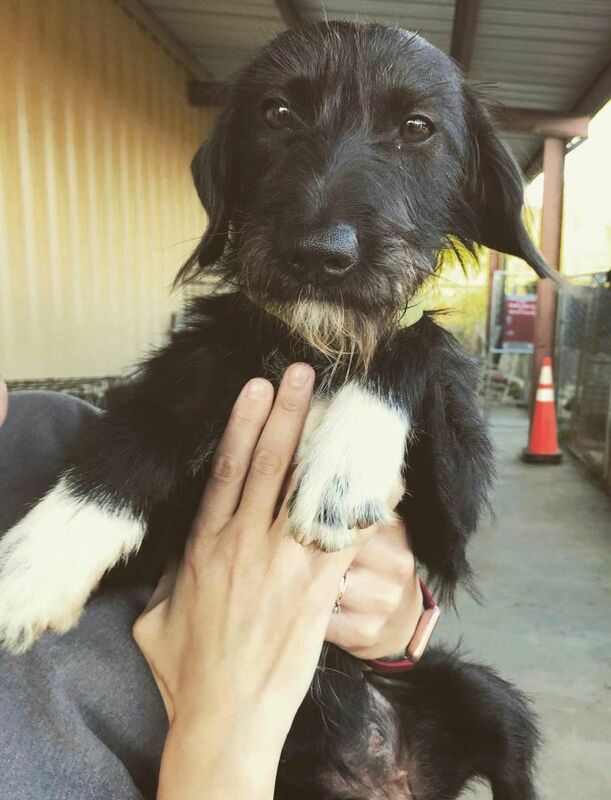 She deserves to find her happy, forever home! Can you make her dreams come true? 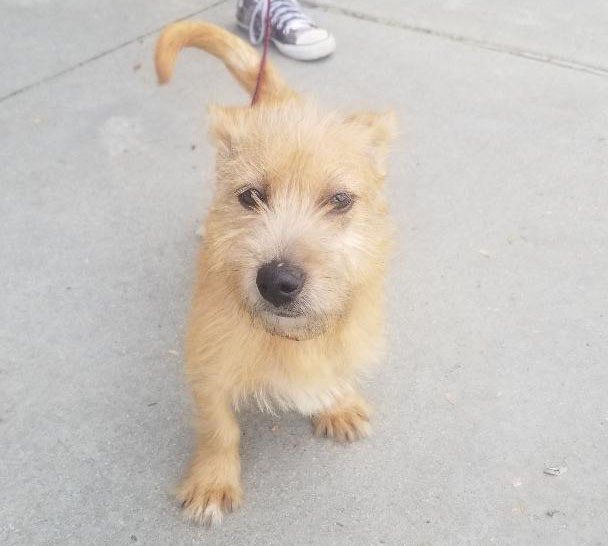 Drax is a young male Terrier mix who is available for adoption from Warner Robins Animal Control in Warner Robins, GA. 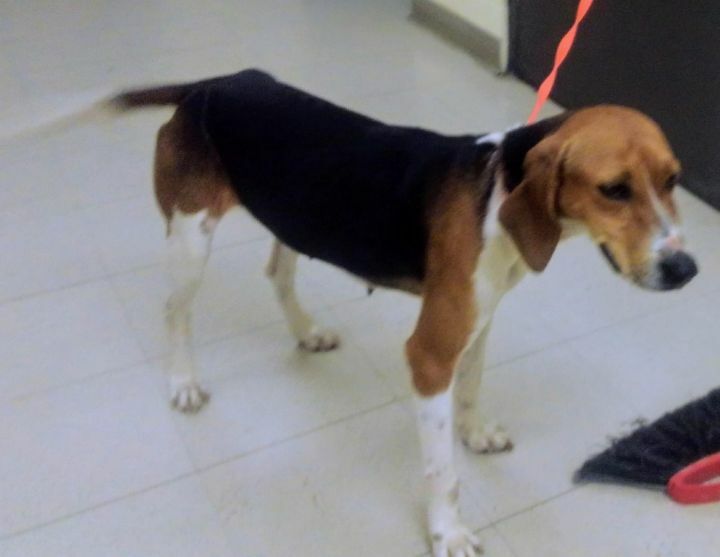 The Glynn County Commission will consider letting the animal control agency participate in “Clear the Shelters,” according to The Brunswick News. 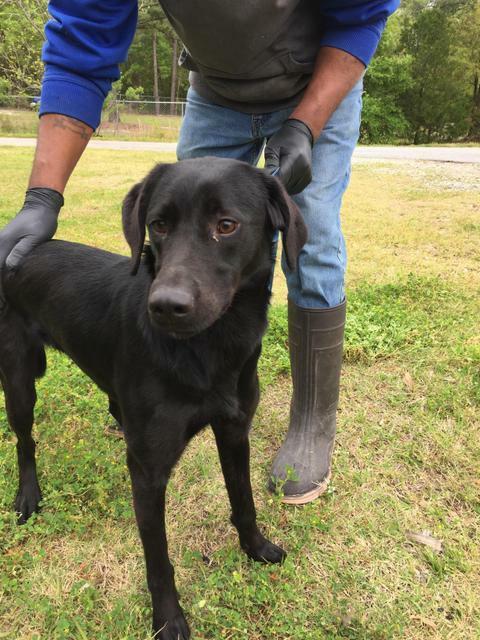 “It’s an event on May 4 called ‘Emptying the Shelter.’ All dogs and cats adopted from the shelter on that day will cost a reduced fee of $25,” said Animal Control Manager Tiffani Hill. 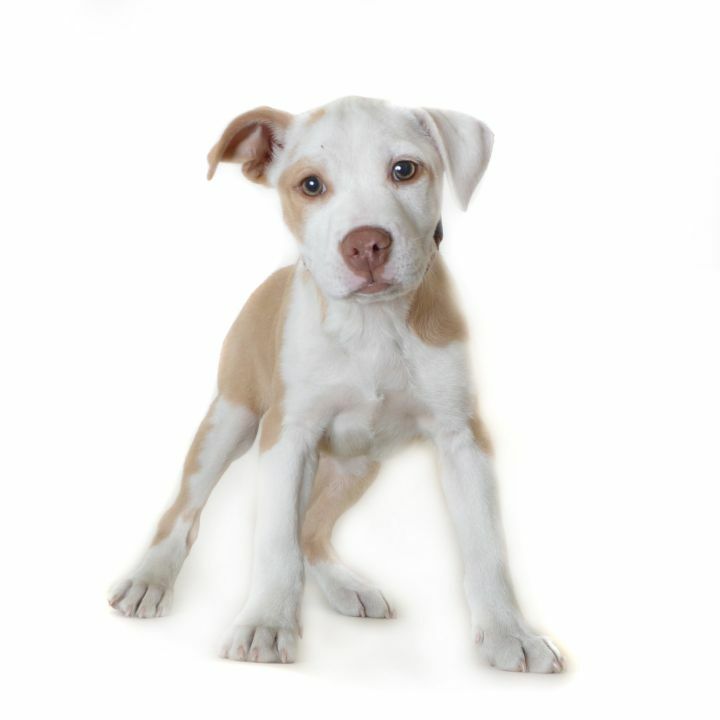 The Bissell Pet Foundation, the organizer of the event, will award grants based on the number of pets adopted on May 4. If the commission approves the request, animal control will participate in the national event and get grant funding afterward. 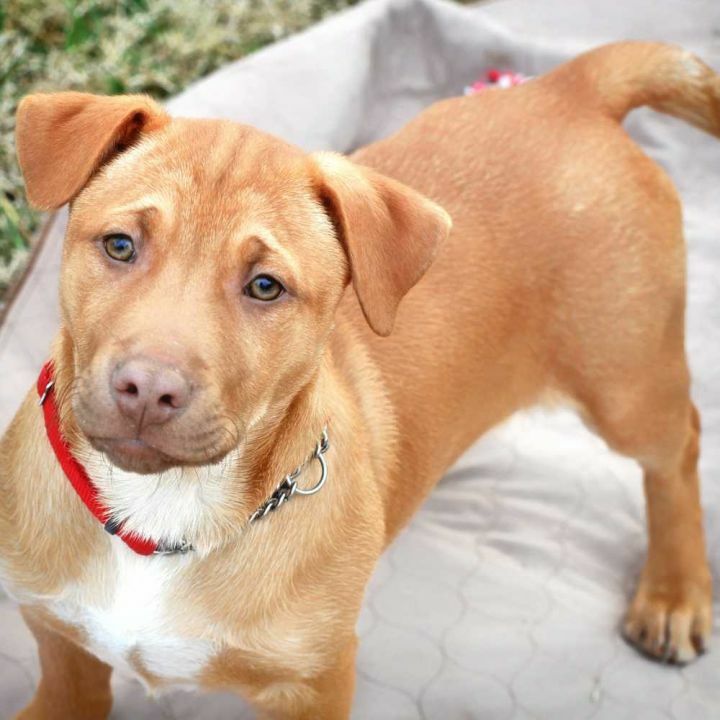 According to a memo from Assistant County Manager Kathryn Downs to the commission, each adopted dog will add $100 to the grant while adopted cats increase the amount by $50. 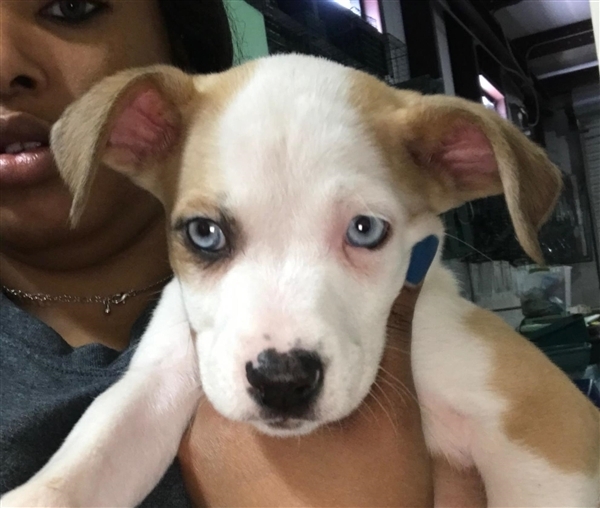 “We want to encourage everyone the week before the event to visit the shelter and look at the pets and adopt on May 4,” Hill said. 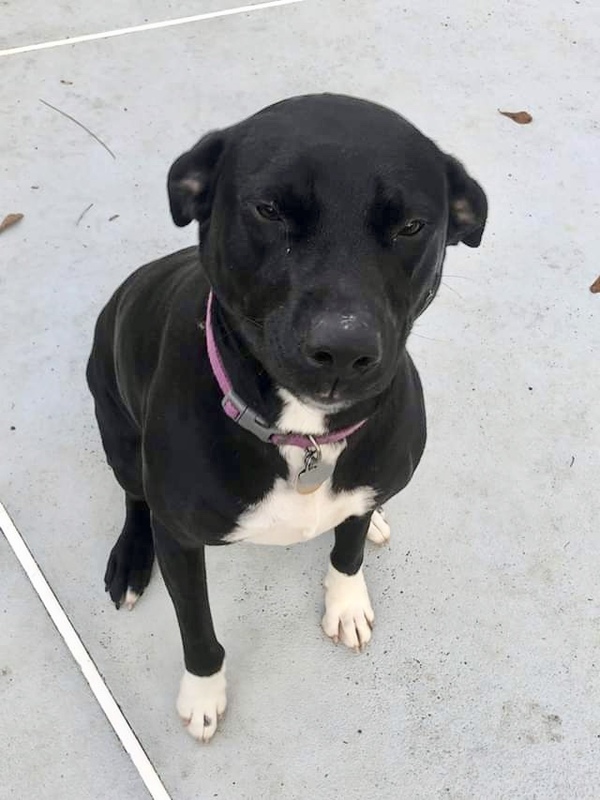 Lucy is a female Labrador Retriever and Terrier mix who is available for adoption from Glynn County Animal Services in Brunswick, GA.
Melody is a female Hound mix who is available for adoption from Glynn County Animal Services in Brunswick, GA.
Kingston is a male Labrador Retriever and Terrier mix who is available for adoption from Glynn County Animal Services in Brunswick, GA.
Smokey and the Bandit are 3-1/2 month old Labrador Retriever mix puppies who are available for adoption from Best Friends Dog Rescue in Cairo, GA.
Bella Ann is a young female Labrador Retriever and American Bulldog mix puppy who is available for adoption from Best Friends Dog Rescue in Cairo, GA.
Crumbs is a young female Labrador Retriever mix who is available for adoption from Best Friends Dog Rescue in Cairo, GA.
Eve is a young female Labrador Retriever mix puppy who is available for adoption from Hands to Paws Rescue in Augusta, GA.
Eve is a sweet girl found with her brother wandering brick yard. 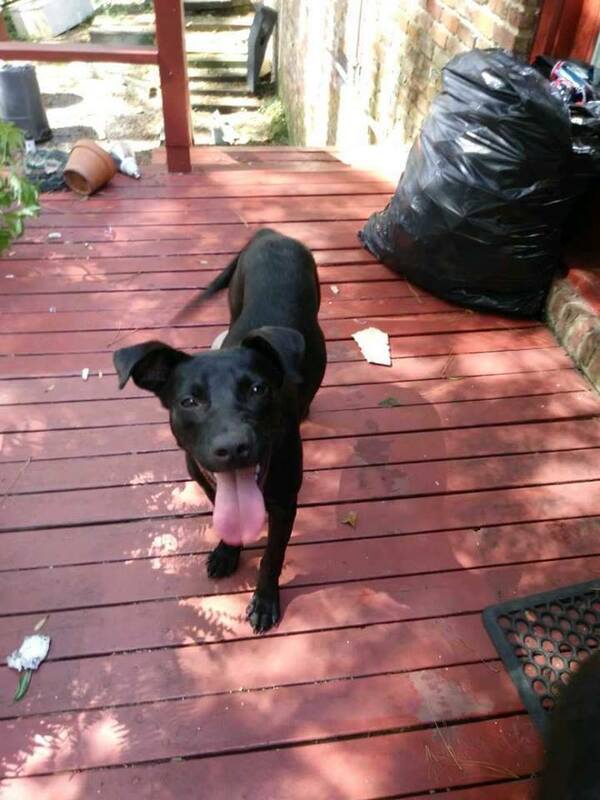 No owners found so her rescuers decided to foster them until a suitable home could be found. Eve is attached to her brother Adam who seems to look out for her. Eve loves people and loves to give kisses. She is good with other dogs. 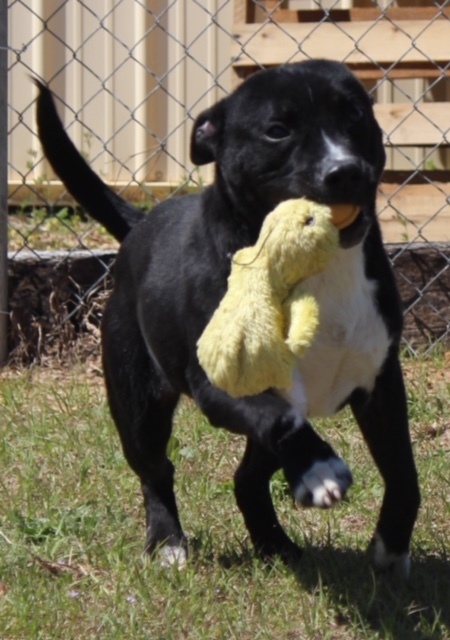 Adam is a young male Labrador Retriever mix puppy who is available for adoption from Hands to Paws Rescue in Augusta, GA.
Duke is a male Terrier mix who is available for adoption from Hands to Paws Rescue in Augusta, GA.
Duke is an adorable one and a half year old Pit Bull who’s very loving, affectionate, sweet, and submissive. 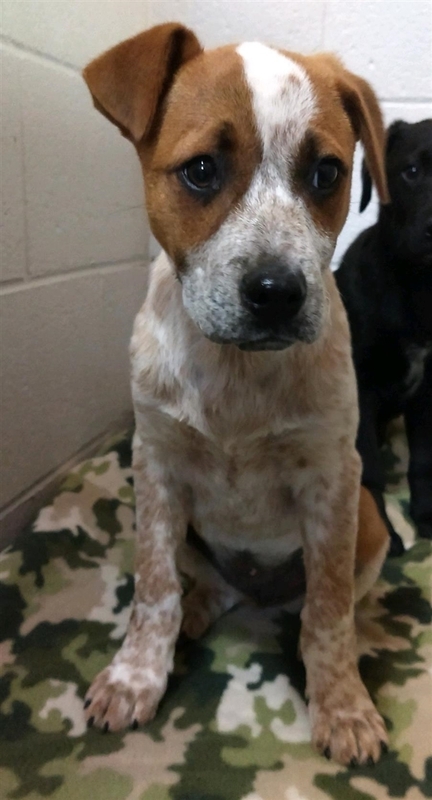 He was rescued last August in Burke County, a community known for their huge stray animal epidemic because there are no animal welfare services and it’s very common for dogs to be abandoned at dumpsters or in the road! 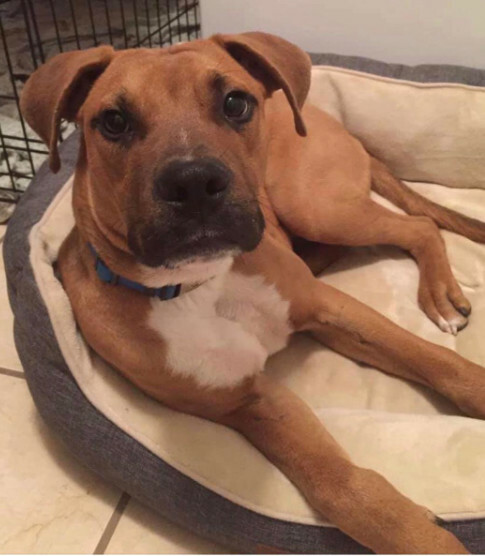 Duke was rescued by a woman in that county as a stray, along with another dog, but could not keep them because the landlord was threatening to shoot them! 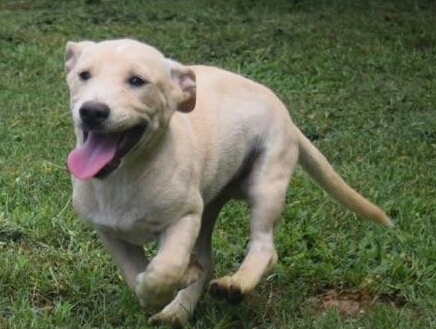 A lot of great people worked hard behind the scenes to get him to a safe place and he’s currently being fostered by Jim and his family in Burke County. 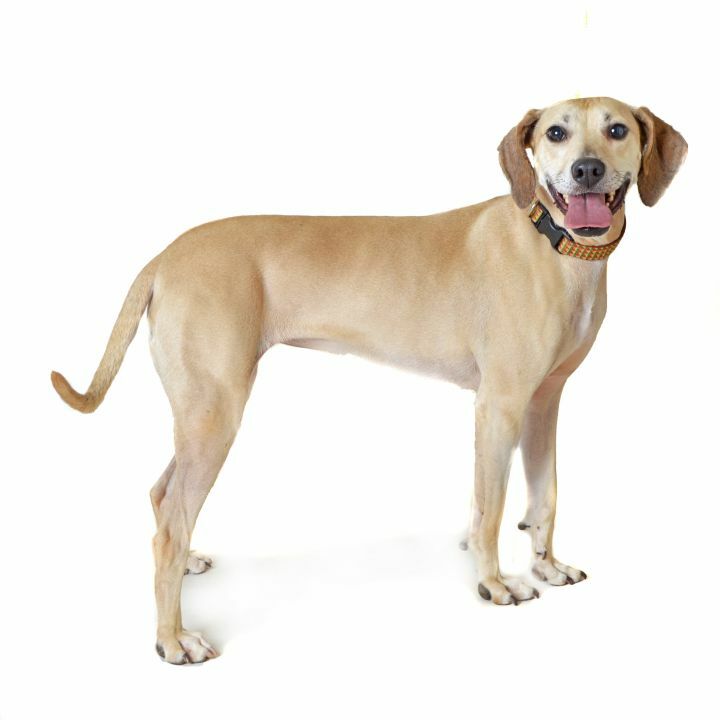 According to Jim, Duke is a happy boy who loves belly rubs and is great with other dogs, cats, and loves his three kids, ages 12, 14, and 20. Jim says that Duke has a great personalty with the biggest smile he’s every seen. He will melt your heart. 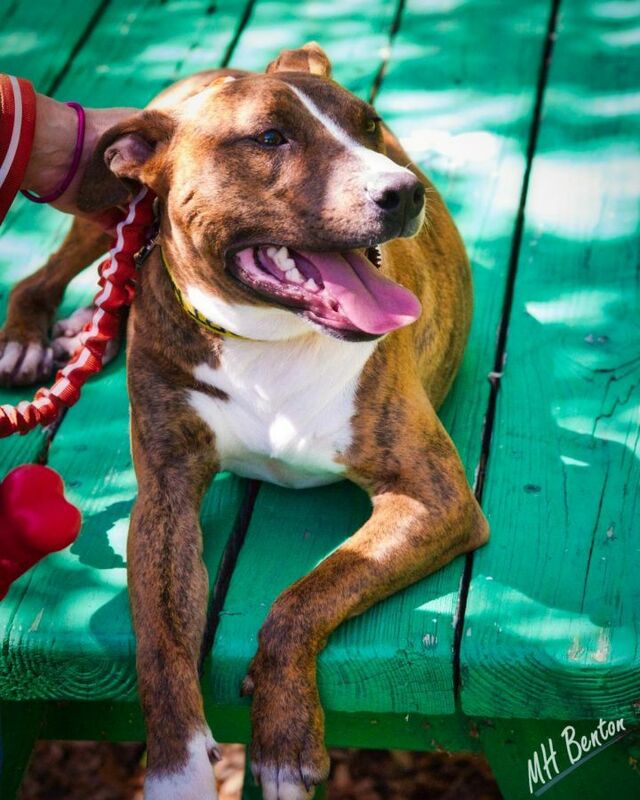 He thinks that Duke was mistreated in his past life because he cowers if anyone moves too quickly and he hides a lot – there’s no telling what this sweet, gentle soul has had to endure but now he’s in a loving foster home and is learning that he can trust people and is getting all of the love that he deserves.Jim says that the calmer you are, the more he listens and the more love he wants to get and give. 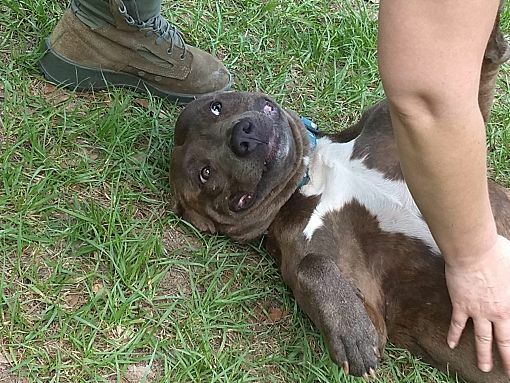 Just look at that grin! What’s not to love? Phoenix is a young male Terrier & Basset Hound mix puppy who is available for adoption from the Humane Society of Houston County, Inc in Warner Robins, GA.
Lillian is a young female Wirehaired Terrier mix who is available for adoption from the Humane Society of Houston County, Inc in Warner Robins, GA.
Valentino is a young male Boxer mix who is available for adoption from the Humane Society of Houston County, Inc in Warner Robins, GA.